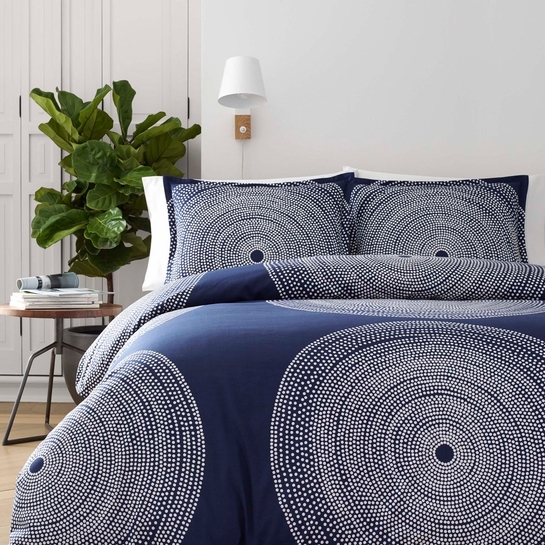 More about Marimekko Fokus Bedding The Marimekko Fokus Bedding will be the focus of your bedroom with its eye-catching, large-scale design by Anna Danielsson. Tiny white dots form concentric circles atop a navy blue background for a simple yet striking statement. Made from 100% cotton percale in 300 thread count, the pieces in this collection are soft, irritant-free and machine washable. 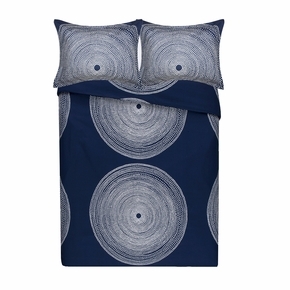 We have two other Marimekko duvet covers (Jurmo Blue and Saarni), and they have been excellent. I expected the same with the Fokus Blue duvet cover I just bought. I love the design and the sheen of the cotton, but I was disappointed to find that whoever does "quality control" failed to make sure that the duvet cover had all of the corner strings to secure placement of the duvet inside. It is missing one, so I will now have to fashion one myself. 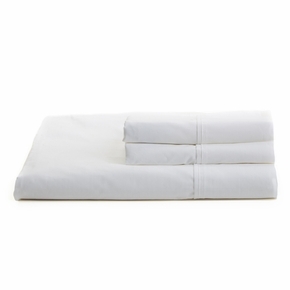 Without all of the strings to secure placement of the duvet, it will tend to leave one corner of the duvet empty. Since Marimekko bedding is no longer made in Finland, this inattention to detail is a bad omen for its future as a design brand. Great purchase. The quality of the material and filling is great. It fits the king size bed well. Bought "full/queen" to use with a full size comforter. Duvet was enormous - much much MUCH too big for a full comforter. I've never had this issue with bedding from several other companies, so I didn't worry about measurements before I ordered - guess I should have. Unfortunately, I washed the set immediately and then discovered the problem when I went to make the bed....so I can't return. A very expensive mistake on my part. We were disappointed in the quality comforter. 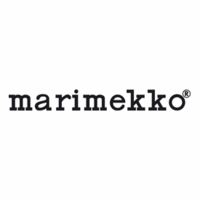 We've had several Marimekko going back 40 years. One touch and you could tell it wasn't quality. Then the cheapest I could send it back to FinnStyle was $60. It was shipped from FinnStyle at no charge and came in a couple of days. All in all a costly mistake. 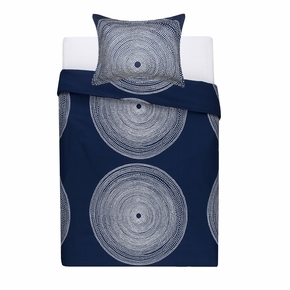 Since i bought my first Marimekko bedding, i fell in love with the company's products. This set is just fabulous - great quality, very comfortable and lightweighted. Does Focus collection include pillow cases?